Variable speed drives (VSDs) can play a crucial role in helping optimize the sustainability of a variety of industrial processes that use electric motors. They can increase energy efficiency, improve productivity and boost performance. However, it is important to examine a VSD’s environmental impact from cradle to grave, especially when it comes to the end of its useful service life. One of the ways that ABB approaches this is through a Life Cycle Assessment (LCA). This provides customers with detailed information about the environmental performance of the drive throughout its whole life cycle and promotes eco-efficient product design. It examines raw material production, product manufacturing and use, through to decommissioning and recycling. The results are quantified using environmental impact criteria, such as Global Warming Potential (GWP), a measure linked to greenhouse emissions. For instance, when we consider the carbon footprint of a typical industrial VSD, rated at 110 kilowatt (kW), about 399 kilograms of carbon dioxide (CO2) is created during its manufacture. However, this is offset by the increased energy efficiency of the VSD with an environmental payback achieved in just one day of operation. Similarly, a larger 18.5 kW VSD will achieve payback in just under three days. Even the most well-maintained drives will eventually start to face the end of their economic and technical lifecycle. ABB has developed a product lifecycle management model aimed to provide customers with proactive service. The model divides a product’s life cycle into four phases: active, classic, limited and obsolete. In the active and classic phase, products have a full range of services and support available. In the limited and obsolete phase, often the only available services are replacement and retrofit, which will update the drive and return the product’s life cycle status to active. When the limited and obsolete phases are reached, the most sustainable solution in many cases is to extend the lifetime of the existing infrastructure with retrofit services. The drive models can be upgraded to the latest technology, while using the existing mechanical parts such as the cabinets and cabling. Overall, this can increase the typical 20-30 year planned lifetime of the installation by more than 10 years. One of the most common reasons for a customer to choose a retrofit service is that it enables them to make new investments in stages rather than as a single, large investment. Where there is a large installed base, staggering the retrofits over time will help to optimize capital expenditure as well as enable the installations to be made during shorter production breaks and ideally within normal planned maintenance downtime periods. Retrofitting also benefits from new technologies now available and often increases the efficiency of the drive. For example, new generations of drives have embedded capabilities for remote connection and self-diagnostics that enable remote support and condition monitoring services, improving the availability and optimization of the drive and the response time in case of failure. As well as significant developments in new drive technologies, retrofitting can also enable customers to benefit from the ongoing refinement of smaller ancillary equipment. ABB has introduced a new long-life fan that provides optimum cooling for low voltage AC drives, enabling them to maintain peak operational capability and reliability over an extended period. The cooling ability of a fan decreases when components such as its bearings begin to wear and they require replacement at regular intervals. The new long-life fans only need replacement every nine years in accordance with the drive’s preventive maintenance schedule. Furthermore, by using existing drive cabinets, cables and motors, customers can save a significant amount of money and time as there is no need to re-engineer or modify existing infrastructure, such as the cooling system or cabling. The potential contribution that retrofitting can make to sustainability is indicated in a recent study of a project in the pulp and paper industry. Results showed that the total CO2 emissions associated with a drives retrofit (2 215 kg) were over 65 percent less than a new installation (6 405 kg). This was due to savings at both the manufacturing and transportation stages of the drive equipment. Globally, ABB has executed several successful retrofit pilot projects across a variety of industries, including the paper and pulp, metal, mining, and food and beverage industries. One such pilot was with global steel manufacturer, SSAB, who has since decided to modernize all of the drives in one of its Galvanizing line 3s at the Hämeenlinna plant in Finland. The project includes retrofitting 151 drives, which are being installed step-by-step over a five-year period. 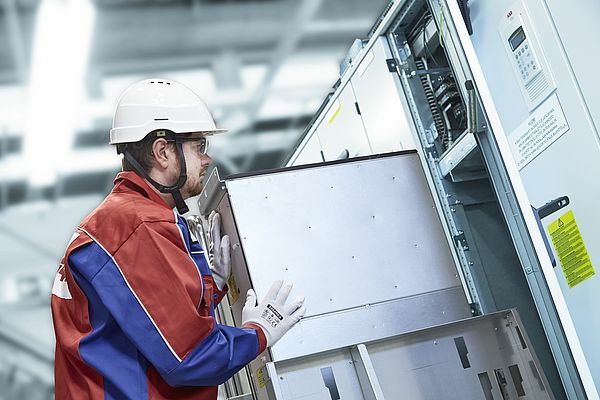 ABB informed SSAB that its existing ACS600 drives were approaching the end of their life cycle and that the availability of technical support and spare parts would become limited in the future. After considering multiple options, SSAB chose the retrofit service to modernize and restore the drives to their active life cycle phase. SSAB’s decision was mainly based on the overall cost-effectiveness of the retrofit service and the reduced shutdown time. The ongoing retrofit solution has been tailored to suit SSAB’s specific needs. All the components inside the old cabinets are being removed and bespoke retrofit kits for the wider ACS600MD cabinets are being installed. Control of the drives will still be implemented by the existing control system with some modifications to the software. The scope of the project includes commissioning and minor program changes, to accommodate the new ACS880 drives, are being carried out during each maintenance shutdown period. Eventually, all equipment must reach the end of its life, requiring removal and disposal. ABB aims to ensure this happens in line with local environmental regulations within each country. One solution is our planned material re-use and recycling service that covers ABB VSDs and motors. This service is based on an ‘item for item’ principle: for every item of equipment delivered, an item of equipment is taken back for re-use and recycling free of charge. This service applies to equipment from any manufacturer, not just ABB. Around 36 tons of drive materials go through this process every year. All the products parts and materials are dismantled and separated. About 10 percent of the material – mainly the non-electronic components – can be reclaimed as spare parts and reused as they are. The remaining 90 percent is recycled – nothing goes to landfill. Generally, all metals -- such as steel, aluminum, copper and precious metals -- can be recycled. Plastics, rubber, cardboard and other packaging materials can be used in energy recovery. Printed circuit boards and large electrolytic capacitors receive specialist treatment according to IEC 62635 guidelines. From their initial design phase, ABB drives are developed with recycling in mind. This includes marking of plastics with their appropriate identification code and restricting the use of hard-to-recycle painted plastics. The drives are also designed for optimum serviceability that enables the easy servicing and replacement of individual components. This avoids the need to have to scrap and replace an entire drive in the case of a single, small component failing. 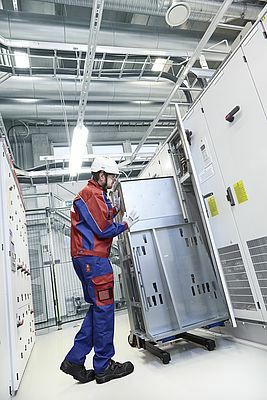 ABB ensures that all VSDs comply with the European WEEE directive. When considering the sustainability of VSDs it is important to appreciate the big picture. 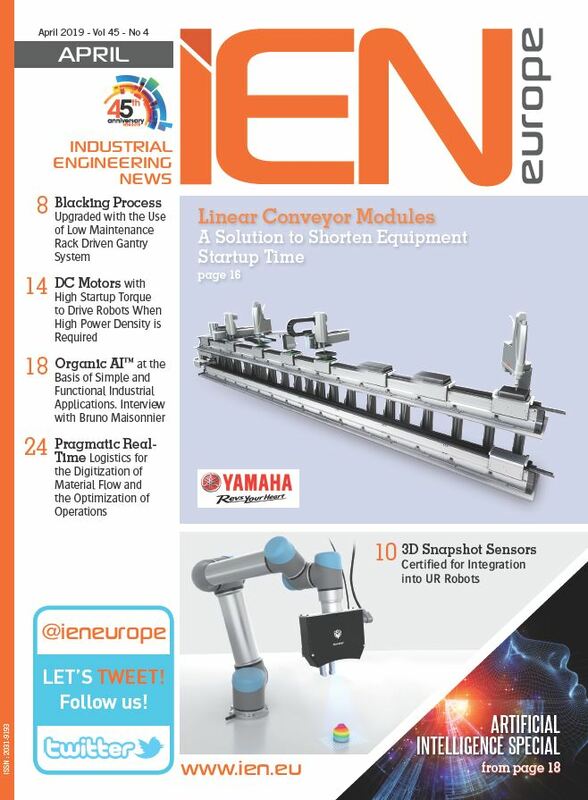 This means not only looking at the in-service benefits of drive systems but also their environmental impact from design and development, through volume production to end-of-life management. Retrofitting drives to extend their service life and the availability of recycling services are often overlooked, yet they can have a very significant impact on the overall sustainability of drive installations.